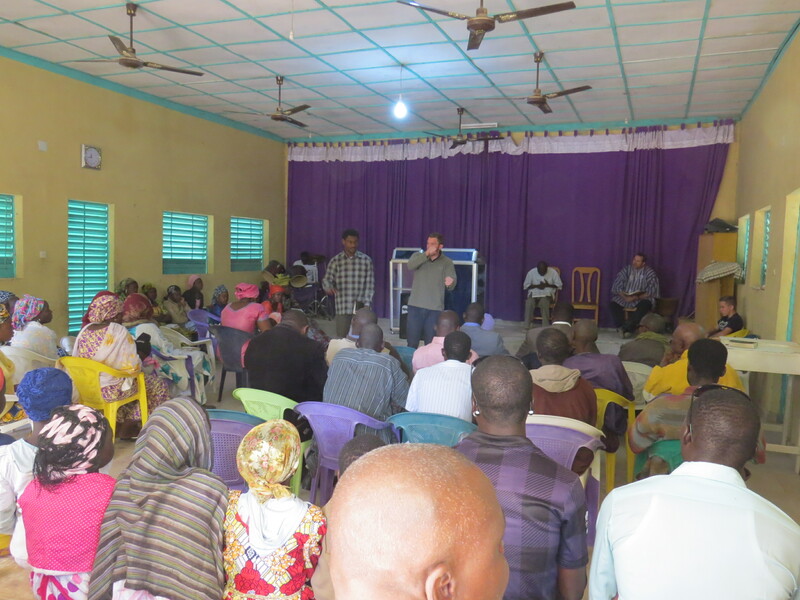 Our churches in Niamey were violently attacked just over 3 weeks ago. In the wake of that, while working to restore, replace and rebuild, Boko Haram rears its ugly head in Diffa – trying to penetrate the Eastern border of Niger where we have another church. I am amazed. I’m not amazed because of the political/Islamic attack of churches in the west, or because of the evil extremists terrorizing the east. 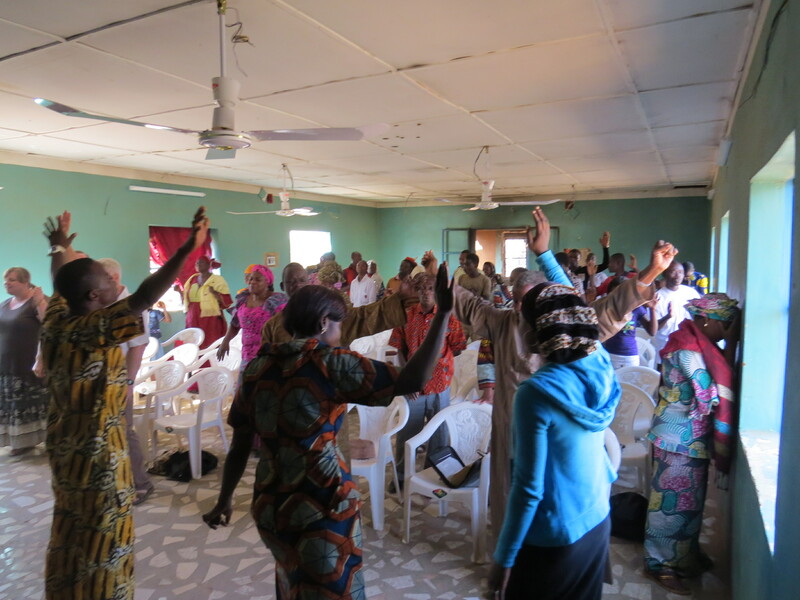 I am amazed by the response of the Niger Christians. Humbled, really. These pictures were taken after the attacks. After churches were burned. After homes were looted and destroyed. The joy can be seen, but I wish it could be felt through this picture. It was real. I know it was real because I was there. 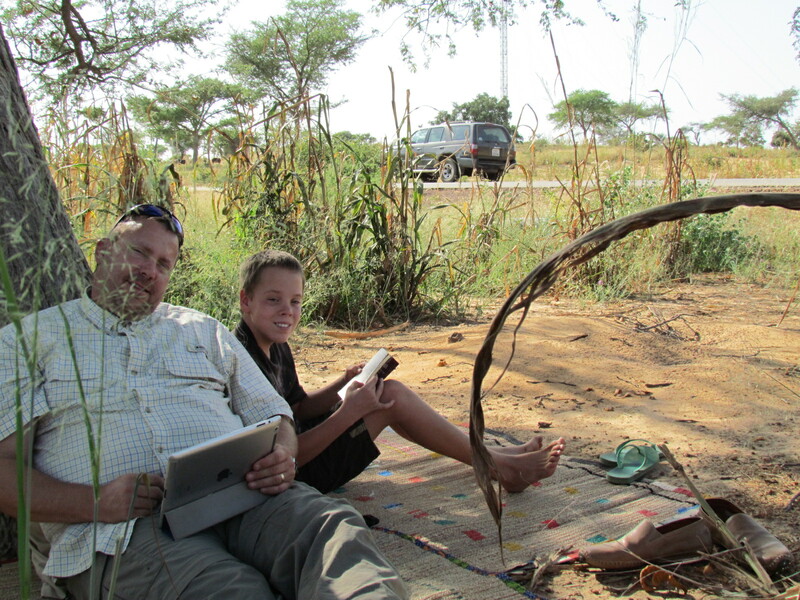 A few weeks ago we were in Diffa with our family. We were there to encourage the church. So many members have been directly affected by Boko Haram and fled to Diffa from Nigeria. Of course they and their faith ended up encouraging us. Here’s a link to an article on what’s happening there. 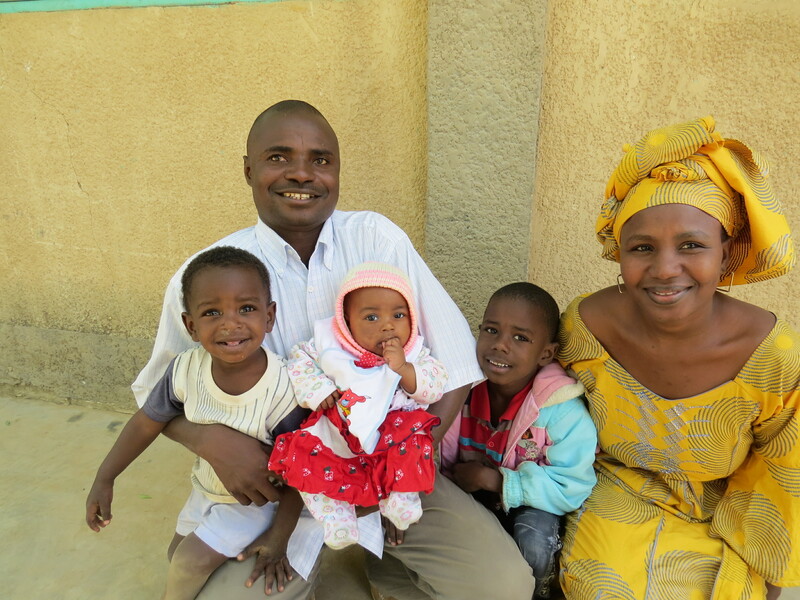 This is Pastor Abdu & Aisha, and their children Caleb, Samuel and Nassara. 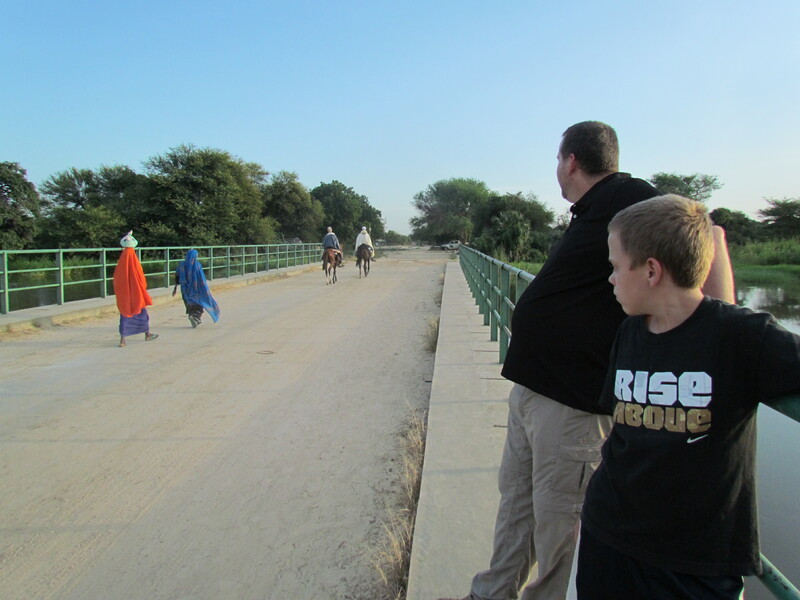 Our son Trae preached a timely message while we were in Diffa (with no knowledge of coming attacks of course). He preached about Shadrach, Meshach and Abednego, and how Jesus will always be with us in the fire. 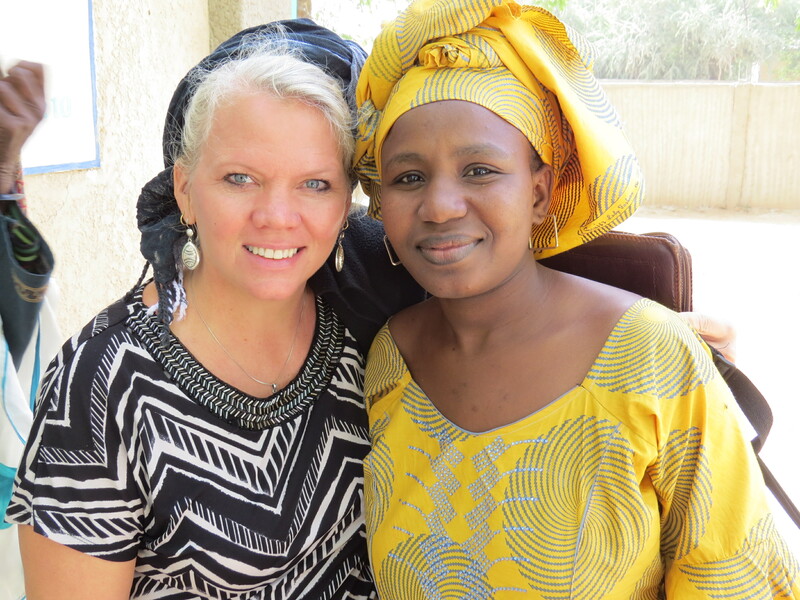 Early this past Sunday morning (Feb 8), we got a phone call from Pastor Abdu in Diffa. He told us that gunfire could be heard from the church (and their home). Boko Haram was trying to cross the border over the bridge. This is the place we used to hang out when we lived in Diffa. Neal and Tobi looking across the border into Nigeria. We used to swim in this river! We lived in this town for almost 2 years. Pastor Abdu wasn’t fearful, just informing us. We assured him we’d be praying. It’s times like these that I’m especially grateful for Facebook. I know that in a matter of an hour, hundreds were praying. And that soon multiplied to thousands. I called Aisha, P. Abdu’s wife to see how she was doing. She said it was a bit scary hearing the gunfire, (ya think?) but that she and the kids were doing fine. She was very encouraged to know that so many were praying. Later that day a bomb was detonated in a nearby market. We knew the place. Though things calmed down during the day, we got another phone call early Monday morning that the fighting went on through the night and was continuing. Then the prison was attacked. The prison is right by our church. We all agreed that it was time for the wives to leave with the children, but we weren’t the only ones with that idea and all transport vehicles were full for the next several days. I so wanted to go and pick them up myself- but that would have been idiotic. Once again God intervened and a vehicle was found to get them out. I still don’t have all the details, but I know they left last night. I talked with P. Abdu in Diffa this morning and he said that many have left but that things have quieted down. There is only scattered gunfire. I then talked to Aisha who was on the road and she assured me they were all fine. They had made their first destination around 11pm last night and were heading to Maradi today. 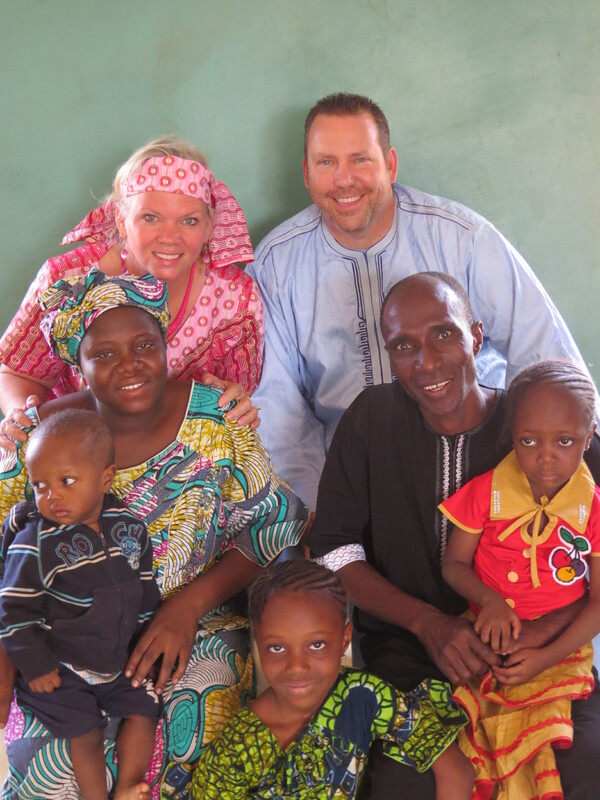 Since the attack in Niamey, Pastor Zabeyrou and Salamatou (who is 6 months pregnant) and their 3 kids have been staying with us in our home. 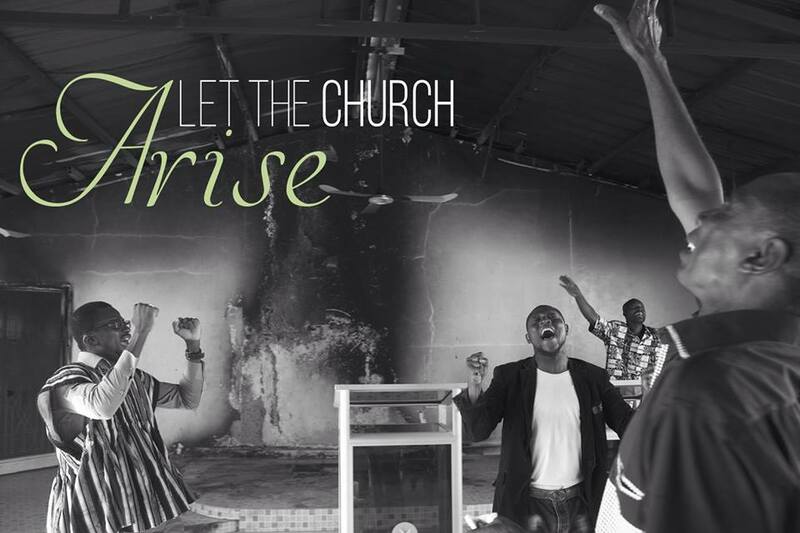 They lost everything – home and church. Here they are – smiling. What an honor it is to labor together with them. Several years ago, they were the pastors of the church in Diffa, so the situation there is very close to home for them as well. This morning, when I was talking to Aisha who was still on her journey, I thought it would be a good idea to have Salamatou talk to her too. That’s when it hit me. The amazing part. Salamatou, who is homeless and without her belongings, is on the phone encouraging Aisha who with her children is running for her life. And they’re laughing. And talking about the goodness of God. And thanking me for praying. Thanking me. I have no more words. Except to say how humbled I am to call these two beautiful ladies my friends. I’ve already written about Campmeeting. It was a great weekend of ministry and fellowship. But now I feel like writing about my reflections during that time. We left on Friday morning at 7 for the hopefully 8 or 9 hour journey. Any longer than that, it means there was an ‘issue’. Usually either personal vehicle, another vehicle or road related. And since our last several trips have turned into time/money consuming issues, we were really believing God for the best. 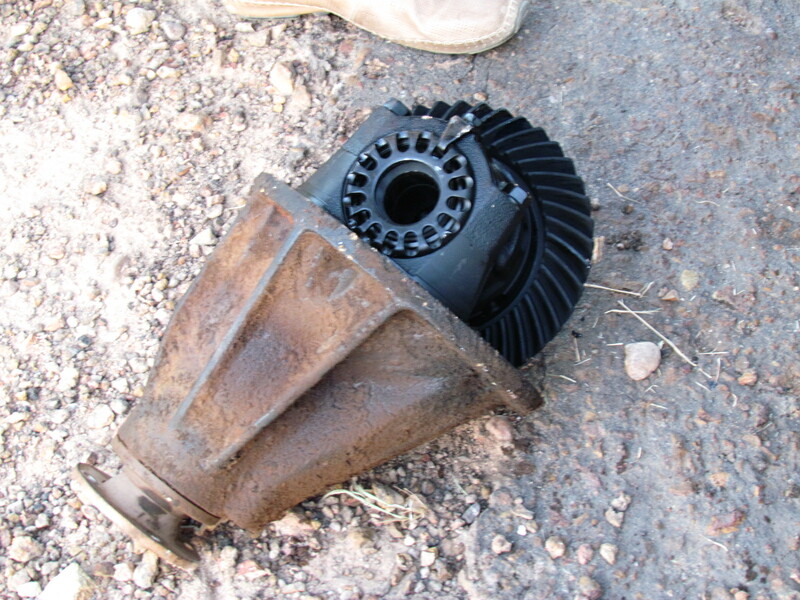 We were holding our breath… Our last roadside experience was a frozen gear differential. 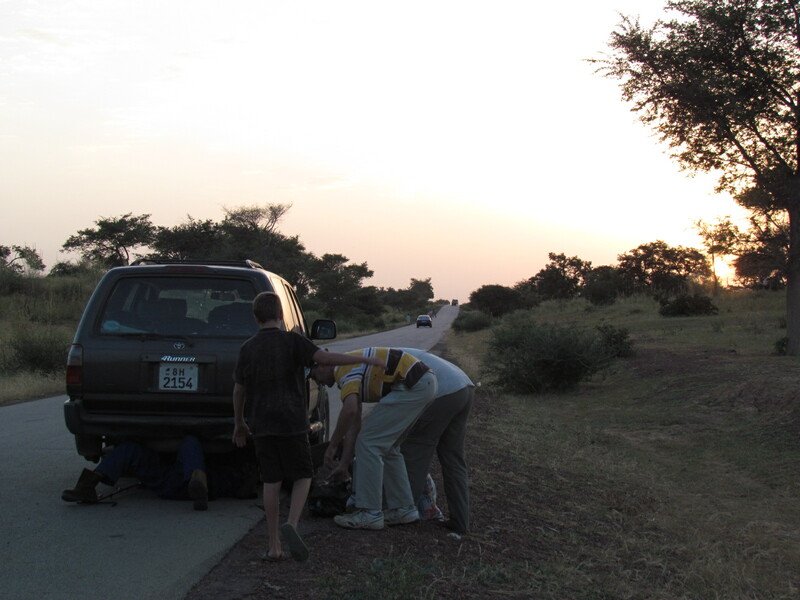 Our 4Runner sat motionless on the road while we played Uno in the bush, waiting for help. 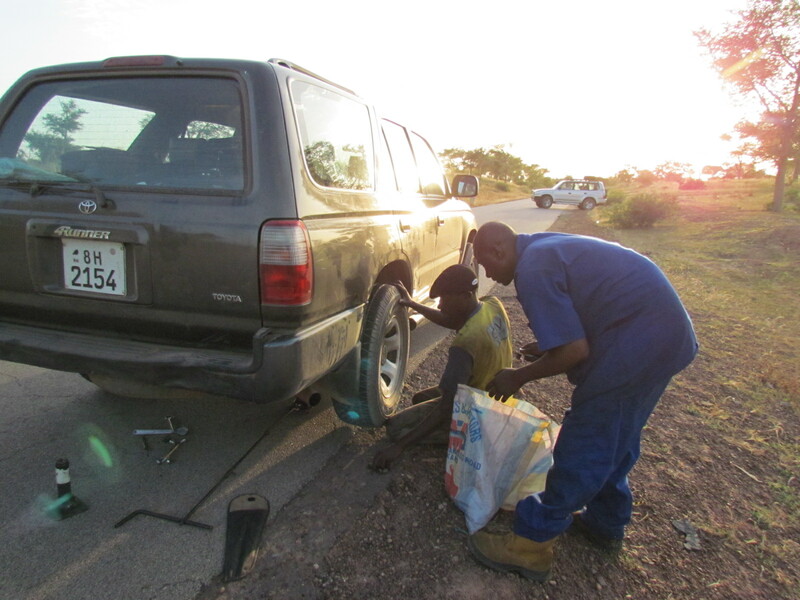 Our Mechanic in shining armor came to our rescue (from 140 miles away, chauffeured by Jonathan, our missionary colleague. He recognized the problem from Neal’s description and though we thought we were gong to have to be towed (and that experience would be worth it’s own post), he brought the part and tools (well, most of them) needed to fix our vehicle right on the road. While we all waited. And even though it was dark when it was finished, it was a much better alternative than Jonathan’s Toyata Prado pulling our Toyota 4Runner over in the dark on a road that one ought not be traveling on at night. We know. We’ve done it. Here are the guys, making the best of it. It doesn’t even look hot. Take my word for it, it was! We’re just good at covering it up. You can see the stranded 4Runner here. At least we were by some shade. No movement at all was the best way to combat the heat. 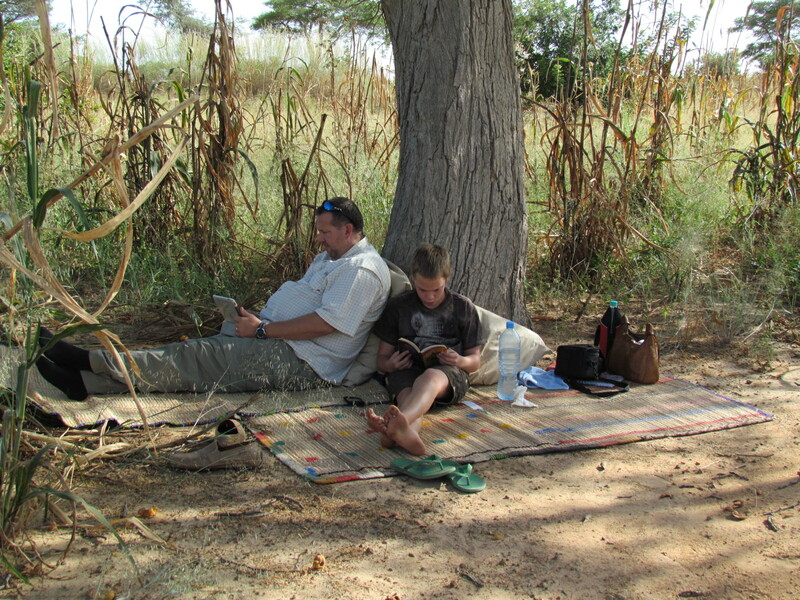 We were waiting for a few hours, so we had to follow the shade and re-set up camp across the road. Nothing like a game of ‘BUSH UNO’ to pass the time. 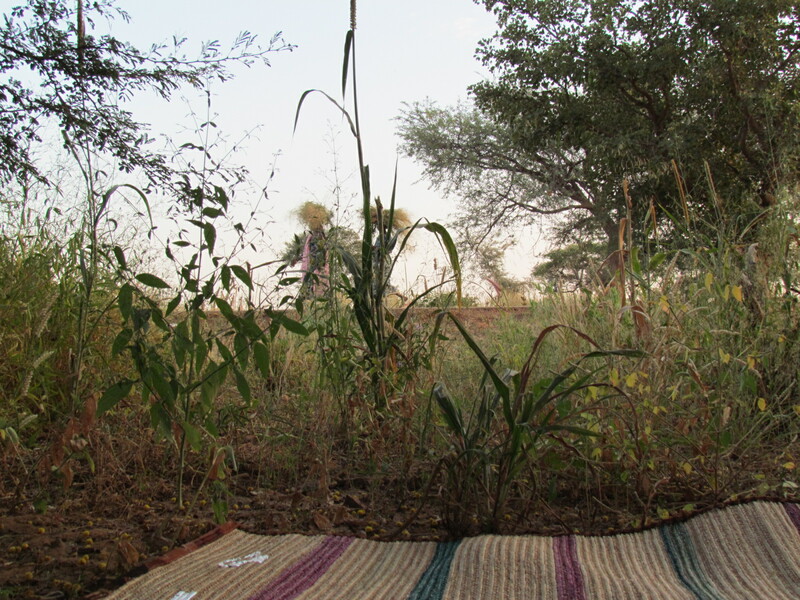 We were pretty thankful with our decision to buy all these hand woven mats from our Fulani friend in Diffa. Who knew? If you look closely, you will see a couple of ladies walking by on the road, carrying grass (animal feed) on their heads. 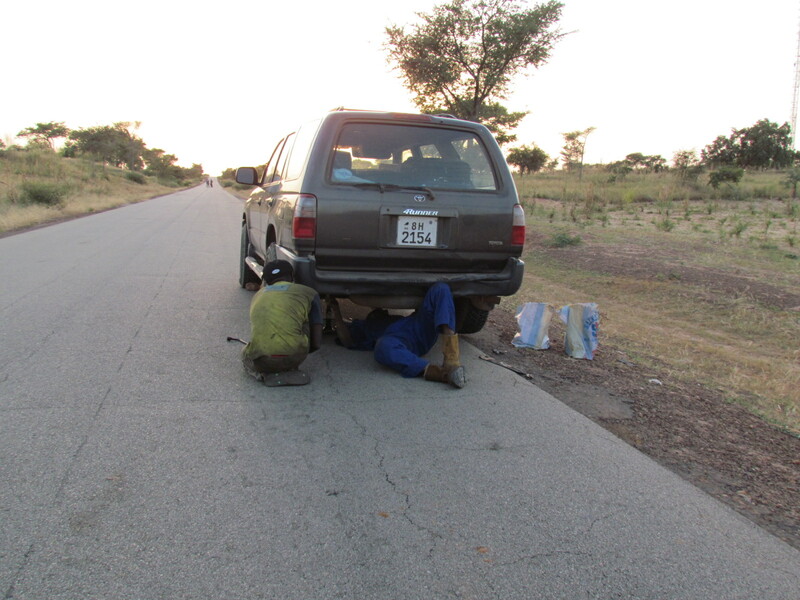 Jonathan arrived with Muritala, our mechanic. 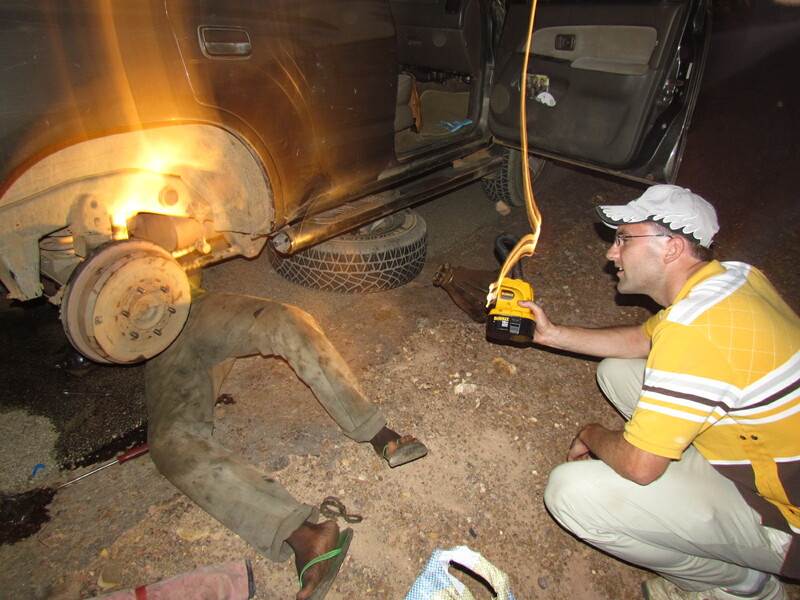 He and Neal had to drive to the next village for a few supplies – gas, plastic bags…Don’t ask me, I’m not a mechanic. Guys return with the ‘stuff’. It was beautiful, but darkness was upon us! Darkness indeed came. But Jonathan had his trusty torchlight and the repair was made. We left Diffa at 7am and arrived in Maradi at 10pm. A 9 hour trip morphed into a 15 our trip. We always say – ‘It could have been worse’. In spite of the frustrations, there are quite a few benefits we can find if we really look! If nothing else, it gives me something to write about! This post started out to be my reflections during camp meeting. Somehow, it took a turn. I’ll reflect next time. It’s 5:30am. We are working on adjusting our sleep schedule this week as tomorrow night (Friday) – early Saturday morning actually, we will be getting up before 1am to go to the airport. We are attempting to get to bed a little earlier each night this week. And that means getting up a little earlier. Haven’t accomplished getting to bed before 10:30 yet, but I believe tonight that will happen. It started raining this morning at 4:45 – that woke me up, so I decided I might as well get up and get the day started. Hopefully it will end for me around 8pm. We’ll see. The reason we are going to the airport at 1am is to pick up the ministry team that is coming from Capital Life Church in Washington, D.C. They are coming for our long awaited children’s camp. Their plane arrives at 2am. Though we have never met them, we have been in close contact with the team leaders for several months now. They have taken on the responsibility of the camp and I’m guessing they don’t yet realize what an impact they will have on the lives of these kids. We can hardly wait to get started. There are over 230 kids registered from our Maradi region churches. We have often picked people up at the airport at this time – that’s when the Royal Air Moroc flight arrives here. The difference this time is what happens afterward. 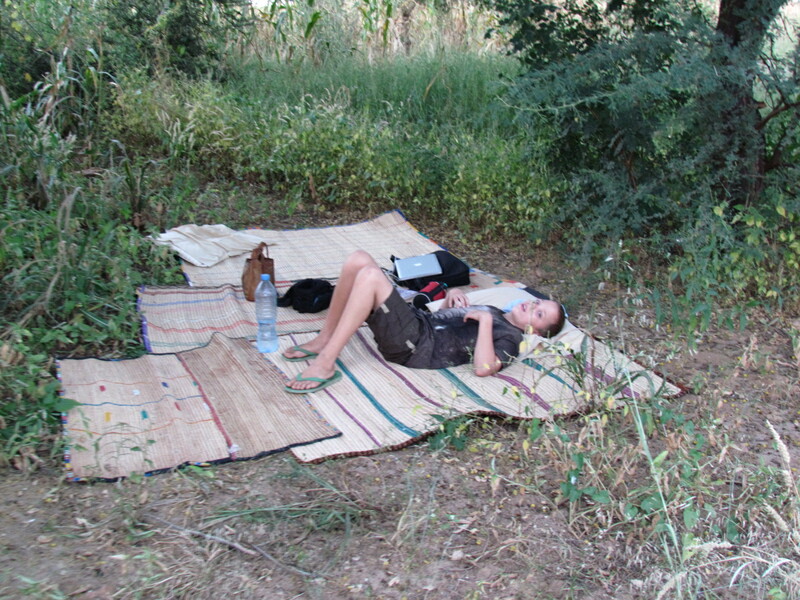 We will hopefully be allowed into the airport to help them with their bags and to get through customs etc. From there, in the parking lot, we will load their 16 bags and 8 or more carryons in and on our vehicle and the one we are borrowing from Neal’s parents, I will fill the containers they are each supposed to bringing with water, pass out toilet paper (for bush use) and we will continue on our 8 hour road trip to Maradi. We decided to do this since the next day is Sunday and we don’t want to travel on Sunday – we want them to be able to minister in our churches. The next day is Monday, camp day. Can’t very well travel then. So that left Saturday – the day they arrive. They’re young, adventuresome, and at our mercy. I’ve tried to prepare them…We’ll see. Tobi is the only kid with us right now. Last week we had 2 visitors arrive (on the 2am flight!). Mrs. Vogel is a long time family friend and has done medical missions for years. She came with her 20 year old grandson. 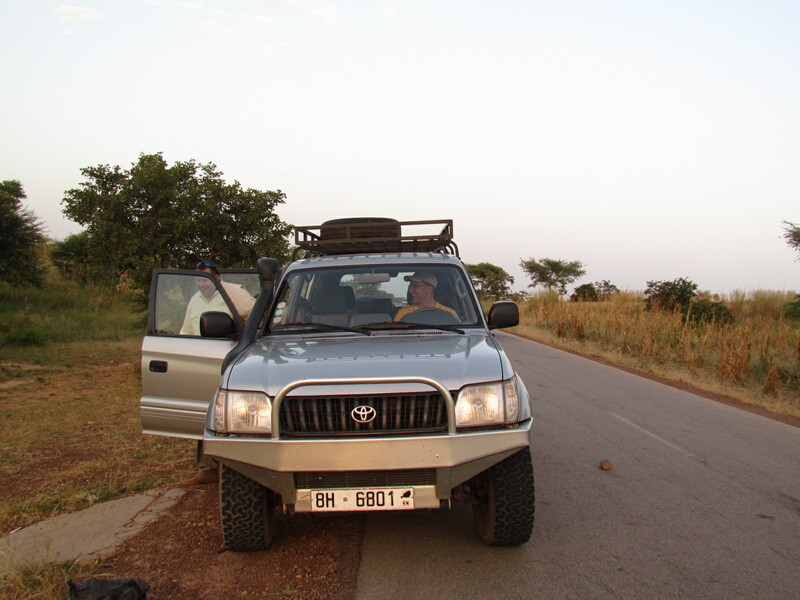 Neal’s parents made the journey with them, along with Trae and Tanika, to Maradi, and then on to Diffa. Let me explain what that means. The 6 of them left Niamey at 6am on Saturday morning. They were loaded down, as they had to travel with alot of their own food etc. And they were 6 people! They arrived in Maradi about 9 hours later and I know many were excited to see them. Trae and Tanika hadn’t been there since this past October and everyone was so happy to see them – especially in light of all they have gone through the past month. And I know T & T were just as happy to see everyone there. After all, they have both spent most of their lives in Maradi. They were there 1 full day, then went on to Diffa. Some have said Diffa is the ends of the earth – or at least you can see it from there. It’s another 9 hour driving further and further into undeveloped territory. Then you get to Diffa where we have a great church and guest house established. We moved there in Feb 2004 with a team of 5 national evangelists that we had trained, and lived there for about 1.5 years to plant a church. We now have a great pastor running things there. Mrs. Vogel did a medical clinic at the church compound and from what I’ve heard, it went great. Everyone was involved and I’m looking forward to getting more details when they get back. Trae and Tanika enjoyed being there and seeing the friends they made during the time we lived there. 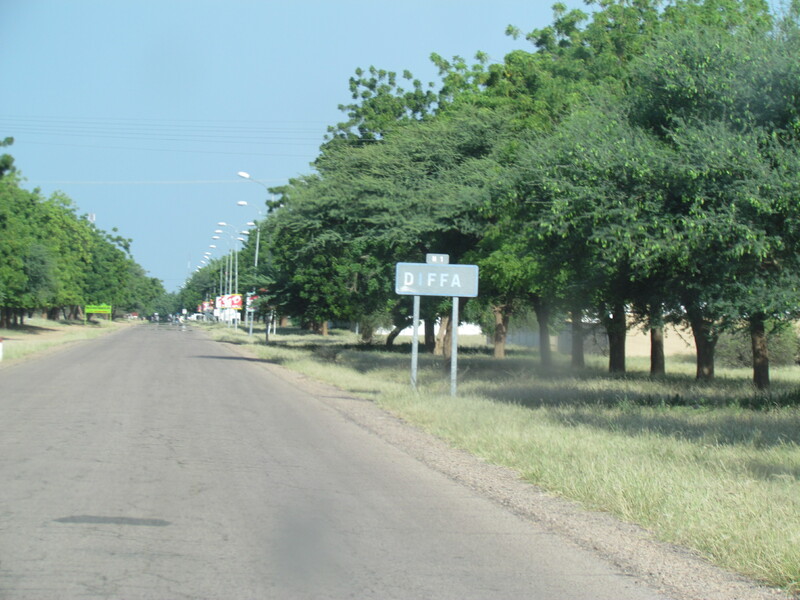 Diffa is always such a reminder to me of God’s grace, and His will. Though many discouraged us from going there (it had been tried and failed etc), we knew it was His will for us. I was a bit (okay, more than a bit) apprehensive about it. I had visited there and knew that life could be rough. It was hotter (though drier), no internet, new people group, no washing machine (this was a big one! ), intermittent electricity, very sparse market (no one knew what a cucumber was) more bugs, toads and snakes in my house (I didn’t anticipate that!) – I could go on. But when we think back to our time spent there – it was great! For all of us. We all have such good memories. God sent us there for that period of time, and though I had prepared myself for the worst, He came through in amazing ways. We have always believed that we can be much more effective and long lasting if we have a comfortable home to return to at the end of the day. 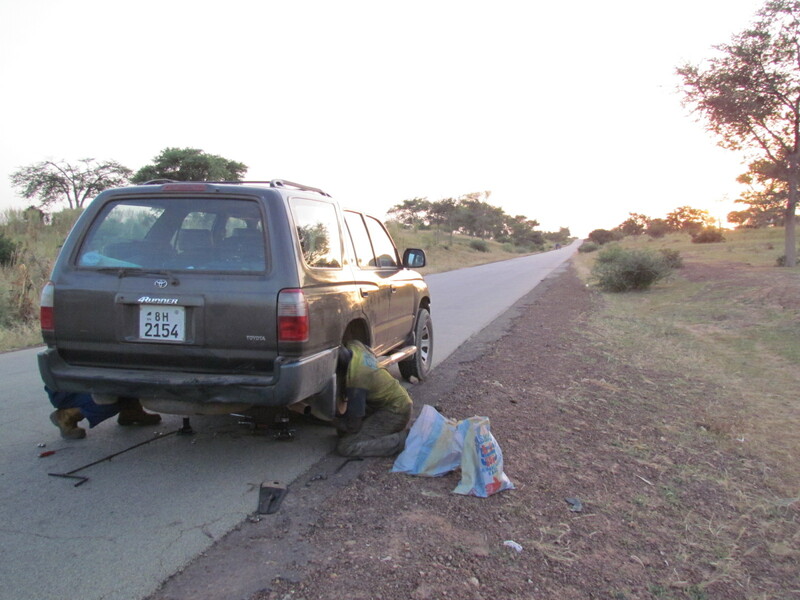 We decided that since we were leaving our home in Maradi set up, it was kind of pointless to move all of our things over the very pot-holed road for an unknown period of time, and then more them back again. I gave this to God, and felt that 1 of 2 things would happen. Either He would provide a way to make our home comfortable or give us grace to deal with the not so comfortable. Really, He did both. 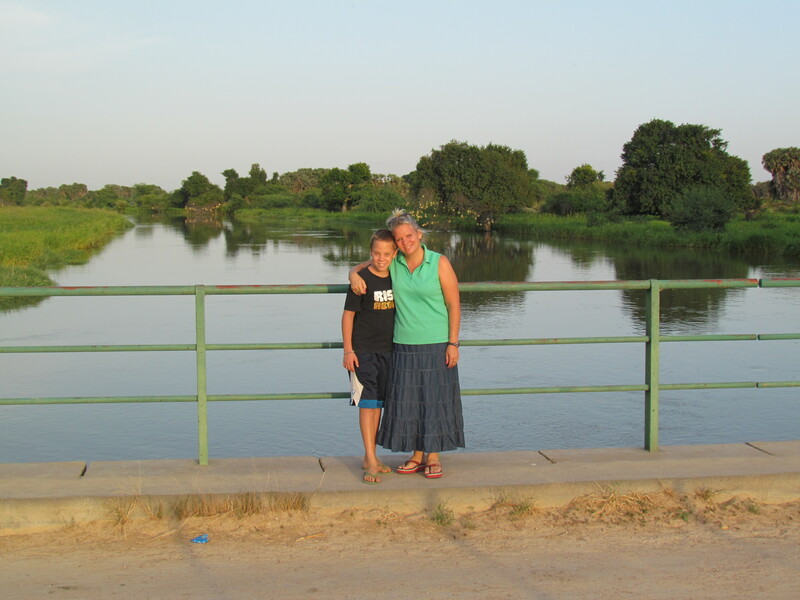 Turned out a missionary family about an hour away had to leave unexpectedly and were dreading taking their load a 2-day drive (at least 5 days by ‘moving truck’) all the way to Niamey to sell it…right around the time we were moving to Diffa. It was incredible to me. She even had the same tupperware glasses I had in Maradi – down to the exact color! We were able to furnish our house by buying their things, and significantly lighten their load. When we get right down to it, we ended up with quite a nice place. God gave us the grace to handle whatever came our way…the heat, the language barrier, the lack of vegetables and fruit, and the big, very poisonous snake that crawled out from behind our TV. In fact right now, it’s hard for me to think of the challenges we faced, because we had such joy being there. It’s kind of like childbirth. I’ve forgotten the pains because we are now enjoying the fruit! We built relationships that continue today. Which is why everyone was so happy to see Trae and Tanika and Grama and Grampa this week. They only wondered why Tobi wasn’t there! 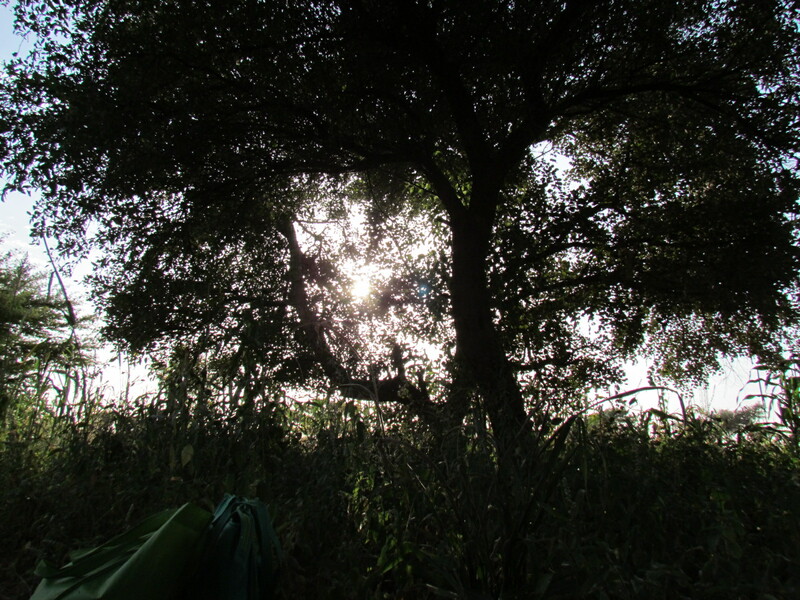 I actually had no intention of writing about Diffa today, it just kind of came out. I guess because I’m a bit jealous that I wasn’t there this week, and I’m reminiscing. 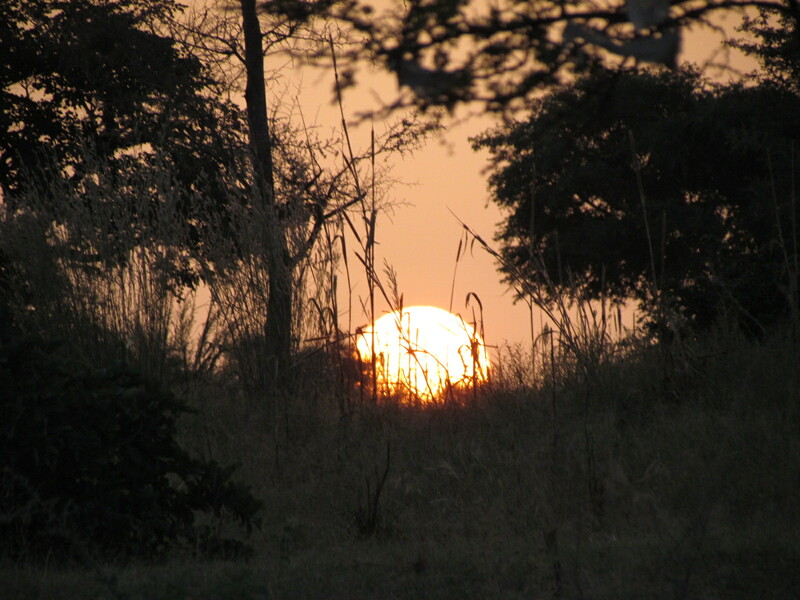 Living in Niamey is so different…but that can wait for another day. 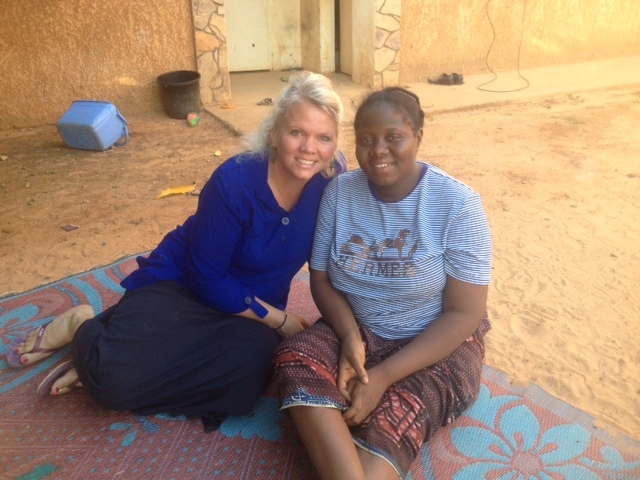 Trae and Tanika are being left behind because we will meet them in Maradi on Saturday. They are both team captains for the children’s camp. Trae’s arm is still in a sling. He’s tough and has done well also with all the travel. Because he can’t really use his left arm, he will have a co-captain to help with his camp team. Tobi will be a camper and is he ever excited to see his friends. He has been reminding me every day that he wants to be on Blessing’s team. We are glad he is going to get back to his Hausa ‘roots’. He is also excited about getting up in the middle of the night to go to the airport and do a road trip. Kids! I look forward to writing more about the children’s camp. It’s June 23 – 27. The theme is “Empowering a Generation of Future Leaders.” If you think of it, please pray that lives will be impacted.